With many eyes focused on the ongoing demise within the Euro-zone, what about our own economy? 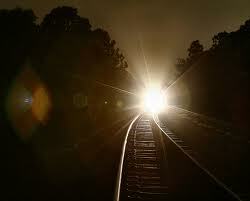 Is that proverbial light around the bend merely another train coming the other way? Or utilizing another railroad analogy, can our economic caboose continue to chug along under the weight and duress of so much excess capacity and baggage?